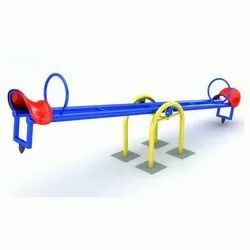 Manufacturer of a wide range of products which include rocking boat seesaw, frp seesaw, 4 seater sea saw, playground seesaw, double see-saw and stylish 4 seater see - saw. 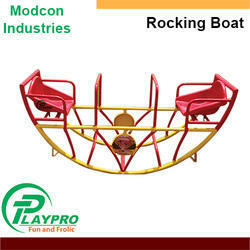 We are the leading manufacturer and supplier of Rocking Boat Seesaw for all age groups. These are designed and manufactured keeping children and toddlers safety in mind and do not have any sharp end. 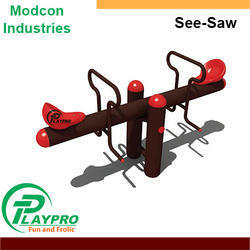 We are the leading manufacturer and supplier of FRP Seesaw for all age groups. These are designed and manufactured keeping children and toddlers safety in mind and do not have any sharp end. 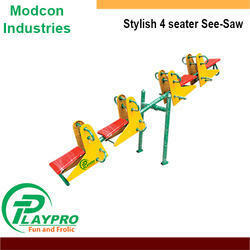 We are the leading Playground 4 Seater Sea Saw manufacturer in Delhi. These are designed while keeping the security of children in mind. These are highly popular among children. 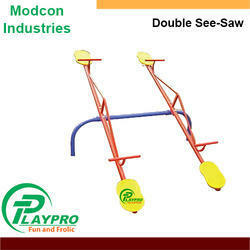 We are the leading Playground Double Seesaw manufacturer in Delhi. These are designed while keeping the security of children in mind. These are highly popular among children. Looking for Playground Seesaw ?